Northwestern Pritzker School of Law is proud to welcome back two distinguished alumni who served under President Obama during his time in office as part of Alumni Weekend and Reunion 2017. On Friday, October 6, Dean Daniel B. Rodriguez will sit down with Neil Eggleston (JD ’78), partner at Kirkland & Ellis LLP and former White House Counsel, and Tina Tchen (JD ’84), partner at Buckley Sandler LLP and former Assistant to the President and Chief of Staff to the First Lady, for a retrospective of the Obama years. The panelists will provide a firsthand account of some of the administration’s most impactful legislation and share a few of their most memorable moments on the job. 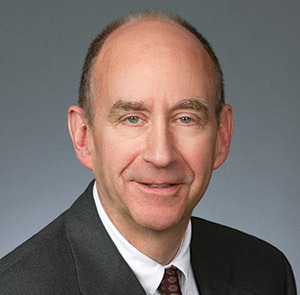 Neil Eggleston (JD ’78) is a litigation partner in the Washington, D.C. office of Kirkland & Ellis LLP. From 2014 to 2017, Eggleston served as White House Counsel to President Obama, advising the president on legal and constitutional issues across a broad spectrum of domestic and foreign policy matters, including the defense of congressional investigations, the judicial selection and nomination process, government ethics and clemency. Earlier in his career, Eggleston served as Associate Counsel to President Clinton from 1993 to 1994. He also served as Deputy Chief Counsel, U.S. House of Representatives Select Committee Investigating the Iran/Contra Affair (1987–1988); Assistant U.S. Attorney (1981–1987); and Chief Appellate Attorney for the Southern District of New York (1986–1987). Tina Tchen (JD ’84) is a partner at Buckley Sandler LLP and leads the firm’s Chicago office. From 2011 to 2017, Tchen was an Assistant to the President and Chief of Staff to First Lady Michelle Obama. Within the Obama Administration she also served as the Executive Director for the Council on Women and Girls and the Director of the White House Office of Public Engagement. Tchen was previously a partner in corporate litigation at Skadden, Arps, Slate, Meagher & Flom LLP. In that capacity, Tchen represented public agencies in state and federal class actions, including the Illinois Department of Children and Family Services, the Illinois Department of Public Aid, and the Chicago Housing Authority. 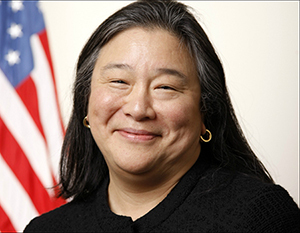 Tchen is the recipient of many awards, including the Leadership Award from the Women’s Bar Association of Illinois (1999); "Women of Achievement" award from the Anti-Defamation League (1996); and Chicago Lawyer "Person of the Year" (1994). Register for Reunion and Alumni Weekend to attend this retrospective and other events.